Just over 2 weeks left to get those CMO50 submissions in! There’s only 2.5 weeks left to get your entries in for the 2018 edition of CMO50, Australia’s list of the 50 most innovative and effective marketers in the country. Don’t miss this opportunity for you and your team to be recognised amongst our country’s top marketing performers. Now in its fourth year, this prestigious list, delivered to you by CMO Australia and brought to you by Adobe, is about celebrating chief marketing officers driving business impact within their organisation. Our annual program shines a light on marketing chiefs taking a leading role in fostering new ways of things not just within marketing, but also their wider organisation, and who demonstrate commercial acumen and effectiveness along the way. Those wishing to be considered by our judges for the 2018 list MUST complete a submission in order to be in the running. You’ll find our questionnaire online and in downloadable form here. But while we’re honouring the leader, this is just as much a reflection of you team’s efforts. 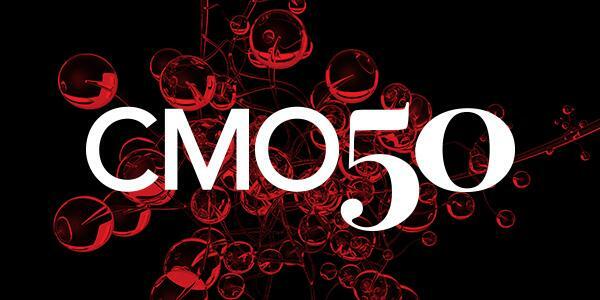 And by presenting you and your team’s achievements, the CMO50 list gives your brand the opportunity to showcase your strong marketing culture and innovative business model. Questionnaires must be completed and submitted by Friday 3 August 2018. Responses supplied in these questionnaires will be kept confidential amongst our judges. So mark the date in your diary and get those entries in now!